Want to get out of town for the weekend? Somewhere you can park the rental car and not have to drive again until you leave several days later? Sleep in a tent while listening to the crashing waves? Bike into town for dinner without worrying about traffic on the road? We gottcha covered. Just about 4 miles north of Ft Bragg and linked by a wonderful family friendly multi-use path to Ft Bragg, MacKerricher State Park is a wonderful weekend destination. We rent a car because we don’t own one, but we were not the only ones with the “get to the campground and don’t drive” mindset. The family camped next to us was from Willits, just over the coast range, and they did the same thing. January camping attracts an avid sort of camper, and the family from Willits approved of our day bike ride choice of Sherwood Road, a secondary sort of road that gets delightfully untraveled as you climb. 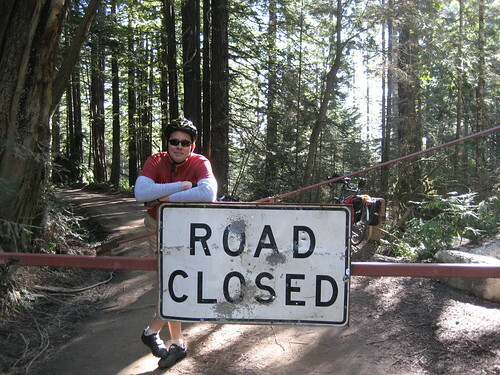 And finally – turns to bikes and locals with keys only. Ah….worth the climb. Since the road is dirt at this point it is closed off during the winter to prevent damage during what is usually the wet and muddy season. 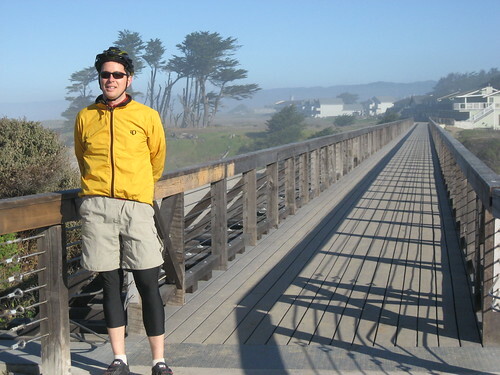 The City of Ft Bragg made a wise choice when they invested the money to rebuild Pudding Creek Trestle, it opened about a year ago and the locals as well as the tourists have made it a favorite walk and bike spot. 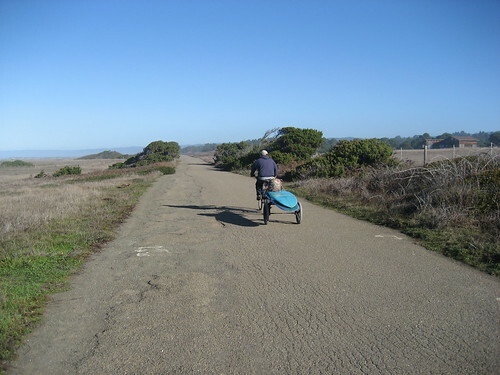 Some are even using it to get to the best surf spots without having to drive or walk while carrying your surfboard. Ft Bragg is about a 4 hour drive from SF.